Part-time photographer at the Anacostia Community Museum. Full-time photographic artist. 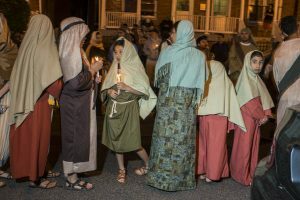 From the Collection: Last year on Memorial Day weekend, descendants and friends of the Walter Pierce Park Cemeteries gathered to commemorate the people who are buried in this busy urban park in the Adams Morgan neighborhood of Washington, DC. 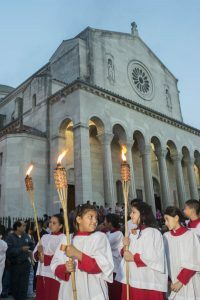 The Museum’s photographer was on hand to observe and document the ceremony. The park’s history is not widely known. Long before it acquired a dog park, soccer field, basketball court and children’s play area, the land served as the city’s only Quaker cemetery, the Friends Burying Ground (active 1807-1890), and a large African American cemetery, Mt. Pleasant Plains Cemetery (active from 1870-1890). May 27, 2017 – The Reverend Segun Adebayo of Macedonia Church addresses the audience during the commemoration of a historic African American and Quaker burial ground located underneath Walter Pierce Park in the Adams Morgan neighborhood of Washington, DC. 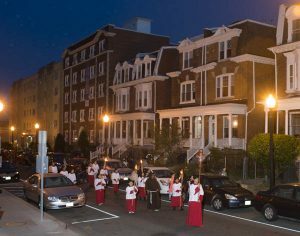 Photo: Susana Raab/Anacostia Community Museum/Smithsonian Institution (triptych photograph). In the early 2000s, neighbors were concerned about development plans that risked disturbing the burials. They joined forces with Howard University anthropologists and spearheaded efforts to document the park’s historical significance. Over the course of three years, the Walter Pierce Park Archaeological Team documented the artifacts and remains of over 8,000 people buried in Mt. Pleasant Plains Cemetery and the Friends Burying Ground. In 2015, the National Park Service named the Mt. Pleasant Plains Cemetery at Walter Pierce Park a National Underground Railroad Network to Freedom Site. Local resident Mary Belcher has been active in organizing The Walter Pierce Park Cemeteries Organization and commemorating the park. 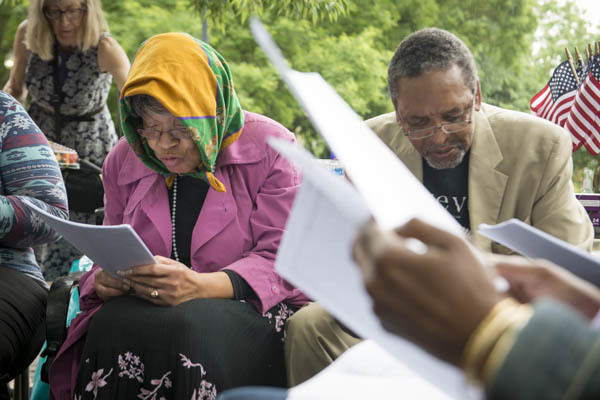 Last year, on Memorial Day weekend, participants recited the names of those buried in the park, and some told the stories of their interred ancestors. African American Civil War Memorial Founder Frank Smith and Patricia Tyson of FREED (Female Re-Enactors of Distinction) sat close together as a light rain cloistered the groups. 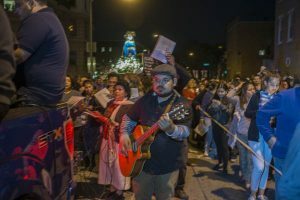 Descendants T.J. Thomas and the Reverend Joanne Braxton addressed the crowd and told of their respective interred ancestors’ stories, and how they discovered their relationship to the ground. It is estimated that around a million people have ancestors in the Walter Pierce Park Cemeteries. The Walter Pierce Park Cemeteries Organization will be hosting the commemoration this Memorial Day weekend on Saturday May 26, 2018 at 11 am at Walter Pierce Park. In celebration of the 150th anniversary of Historic Barry Farm, the Museum presents a display of unique household items from the late-19th to mid-20th centuries. 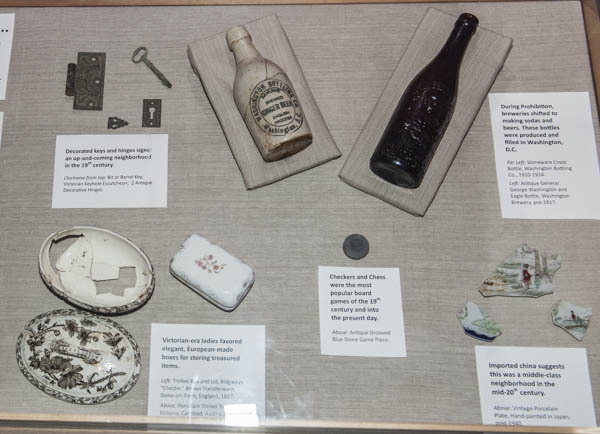 These items were excavated by urban archaeologists at the site of the Anacostia Metro Station in 1981. Back in 1867, the Freedmen’s Bureau purchased 375 acres of land from Juliana Barry to create a settlement where freed slaves and free blacks could build their homes. The lots ranged in price from $125-$300 which had to be paid in instalments over two years. Lumber for the construction of a basic 14×24-foot house was also available for purchase. In order to pay for their new land, families held down jobs in the city during the day, and at night they crossed the river to build their homes. Over time, this post-bellum African-American community grew to include not only homes, but also schools, churches, and thriving businesses. The objects on display in the exhibit illustrate a flourishing middle-class neighborhood. Some of the items were locally made, others imported, some mass-produced, and others hand-crafted. 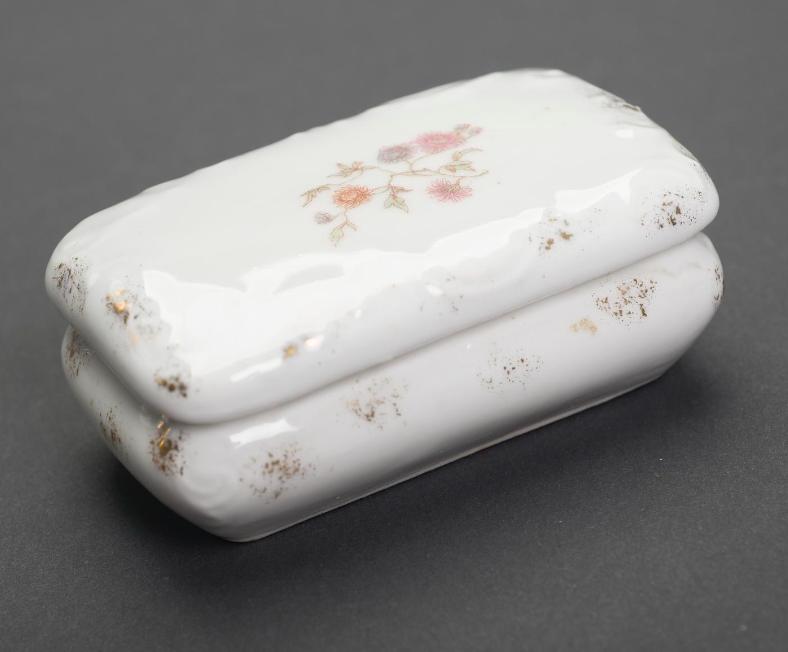 Of particular interest, the late 19th-century porcelain trinket box is stamped on the bottom with ‘Victoria Carlsbad Austria,’ showing that the neighborhood’s ladies favored elegant, European-made boxes for storing their treasured items. 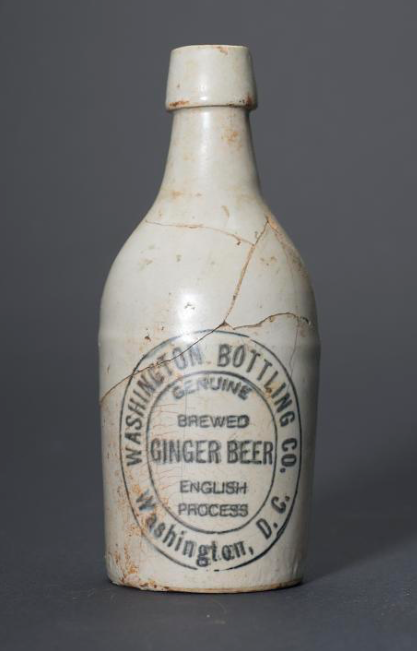 Another object, the stoneware crock bottle of ginger beer, suggests a preference for non-alcoholic beverages during Prohibition. The bottle was produced between 1910-1914 by the Washington Bottling Company once located at 465 Stafford Alley, SW, in Washington, D.C. The display complements an outdoor art installation titled “If You Lived Here,” created by Washington, D.C. artist Peter Krsko. The structure encourages us to reflect on how we live − in the house, the home, and the broader community across 150 years of shared history. 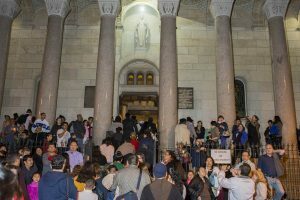 This project was developed in collaboration with The Pink Line Project + Citizen Innovation Lab, the DC Preservation Office, and with funding from the DC Office of Planning and the Kresge Foundation. Published in 1985, and representing over 12 years of work by Finnish photographer Sirrka-Liisa Konttinen, who lived in this working-class community in Newcastle for 7 years, Byker depicts the last days of this public housing development before it was razed in the 1970s to make room for a world-famous architect’s design, the Byker Wall Estate by Ralph Erskine and home to 9,500 people. Here in Washington, D.C.’s Ward 8, the community of Barry Farm is facing similar issues of relocation and development and there are a few local photographers working in those communities producing work, but none of whom I am aware actually live there while engaging in such a dedicated documentation of this community specificity as exemplified in Byker. Her focus and persistence in following this now very different community is remarkable. The Anacostia Community Museum is lucky to own a second-hand copy annotated by an original Byker resident. How wonderful it is to see his/her inscriptions under some of the photographs confirming the veracity of Ms. Konttinen’s portrayal of the Byker spirit. Perhaps most significantly for us, Byker serves as a cautionary tale in the breaking up and restructuring a community. Much as the Barry Farm Community was bifurcated by the building of Suitland Parkway in the 1940’s, and then further overwhelmed by the relocation of the majority of public housing to east of the Anacostia River in the 1960s, so is the United Kingdom facing a second wave of public housing redevelopment, though Byker Wall is being spared this time, as the original Byker was not in the 1970s. Despite the authorities best efforts at engaging the community and encouraging participation – architect Erskine famously set up shop in a defunct funeral parlor in the Byker community hosting open hours for residents – less than 20 percent of the original Byker residents returned after the new Byker Wall had been erected. “Over 17,000 people lived in Byker at the start of the redevelopment. Fewer than 20% of them were living in the New Byker in 1976. One is only left to speculate what would have happened had the policy not been to retain the community, ” Peter Malpass wrote in a commission by the Department of the Environment quoted in the afterword in Byker. Through Ms. Konttinen’s work in Byker we can see the effects of the forces of neighborhood change and renewal on one specific populace. In the photographer’s follow-up work in Byker Revisited, the viewer gets more of a sense that isolation and dislocation have taken hold over Byker, even as the subjects of her camera’s gaze become more multicultural and diverse. To see this book in person as well as browse other titles in our growing urban community photography book collection, you can come to the Anacostia Museum Library (let us know that you are coming and we will pull the book for you), more information on how to contact us and hours is available here. Show me what you eat and I will tell you who you are. Jean Anthelme Brillat-Savarin, an 18th century French writer, is credited with being one of the founders of the gastronomic essay. 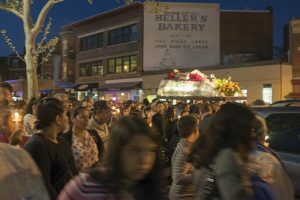 As the Thanksgiving holiday is upon us it is worthwhile to think about our own food culture. A prominent symbol of the season is the cornucopia, the horn of plenty, which manifests the wealth of the harvest. However, in many areas of this country, like D.C.’s wards located east of the Anacostia River, food insecurity is confronted on a daily basis. One of our most basic human needs, access to healthy, nutritional foods is a foundational ingredient towards total well-being. Yet, food hardship is a daily reality for many Americans. We took a brief tour of the east of the Anacostia breadbasket: the takeout restaurants (and a couple sit-down ones too) that have defined eating in Wards 7 & 8. Wards 7 & 8 do have some sit-down restaurants. Busboys & Poets is moving into historic Anacostia. Uniontown Bar & Grill has survived an ignominious beginning, to become an engaging spot in the community. Cheers offers some of the best crabmeat-smothered french fries this side of the Chesapeake Bay. Yet wider access to decent grocery stores and healthy food offerings remains elusive for many residents in D.C.’s most economically challenged neighborhoods. 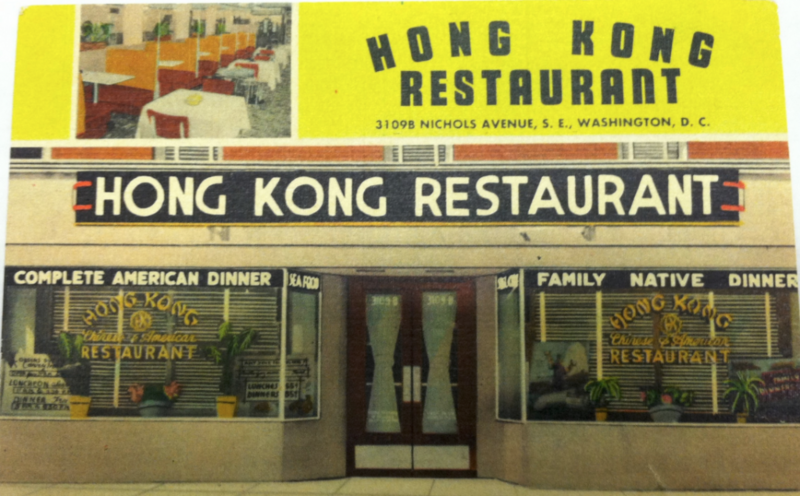 The Hong Kong Restaurant operated on Nichols Avenue S.E., what is known today as Martin Luther King Jr. Ave S.E. in Congress Heights, just down the street from the Hong Kong carryout featured in the video. 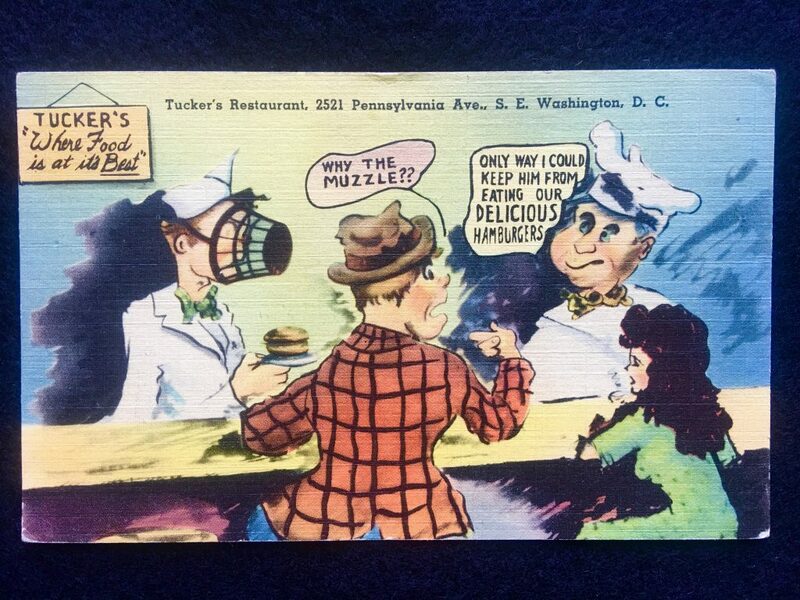 Tucker’s Restaurant, advertisement below, was located just across the Souza Bridge from Capitol Hill. Foodways change as cultural mores do. As we break bread this Thanksgiving, we might take a moment to reflect on something many of us take for granted, that access to healthy foods in one of the richest countries in the world is not a privilege to be taken lightly. We had the pleasure of attending the Ms. Senior DC pageant earlier this summer. The pageant featured several of Ward 7 & 8 neighbors, including Miss Congress Heights, Elvera Patrick, who received the title of Miss Congeniality for her efforts with this pageant. Below we present a highlight reel of some of our favorite moments. 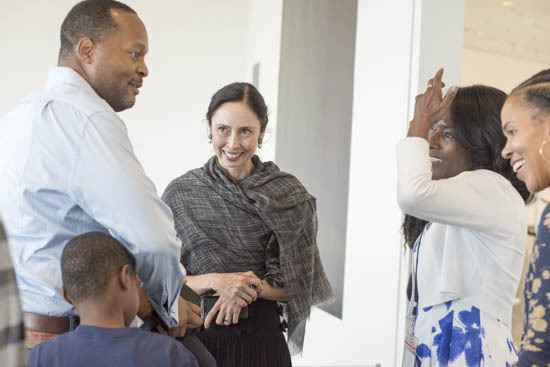 Internationally recognized artist Theaster Gates, whose work embraces the plastic arts, performance, archives and the built environment, was in town for a presentation at the Hirshhorn Museum in honor of the opening of the new Museum of African American History and Culture. Artist Theaster Gates performs at the Hirshhorn Museum for ArtLab students September 14, 2016. He kindly agreed to a performance for the Hirshhorn’s ArtLab students and featuring his colleagues the Black Monks of Mississippi and members of the Howard University track team. 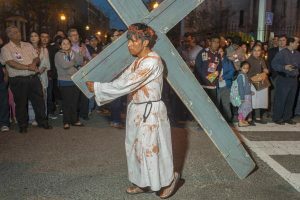 The performance was entirely improvised in the moment. After the performance Gates and his colleagues convened in the ArtLab to discuss creativity, collegiality and process. 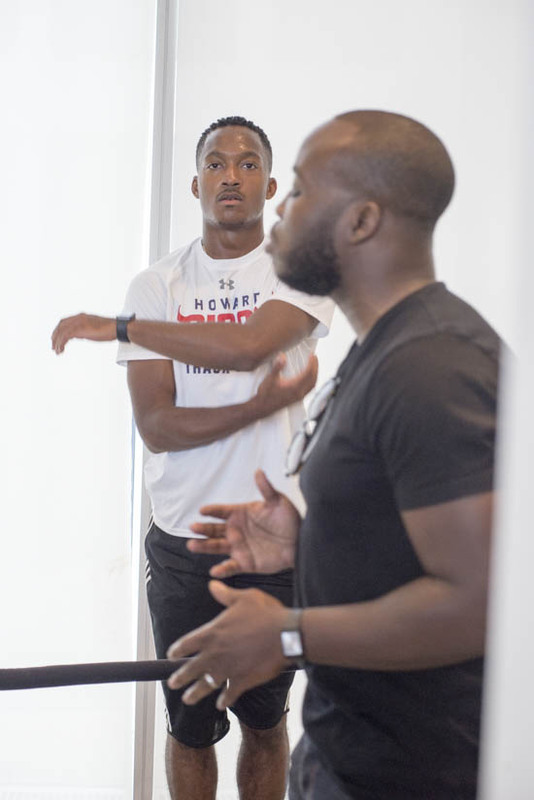 Members of the Anacostia Community Museum’s Youth Advisory Board were on hand to experience this opportunity to be inspired by a living artist working on creative placemaking in the same community in which he grew up and lives today. A Howard University track athlete is part of the performance of artist Theaster Gates and his associates the Black Monks of Mississippi who presented at the Hirshhorn Museum in advance of Gates’ presentation at the museum later that night in honor of the opening of the new Museum of African American History and Culture. Hirshhorn Museum Museum and Sculpture Garden Director Melissa Chiu (center) chats with Anacostia Community Museum Board Chair Bennie Johnson left, and Anacostia Community Museum Director Lori Parrish, right, prior to a presentation by the artist Theaster Gates. 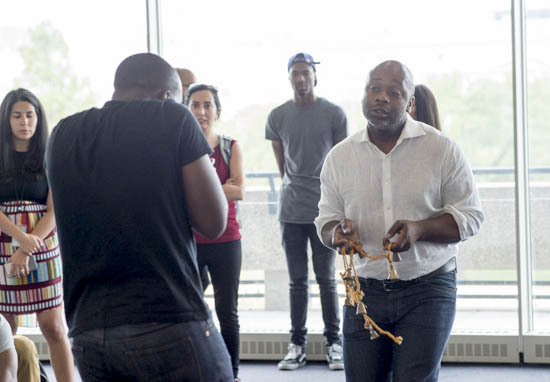 Local students listen to artist Theaster Gates talk about his work. 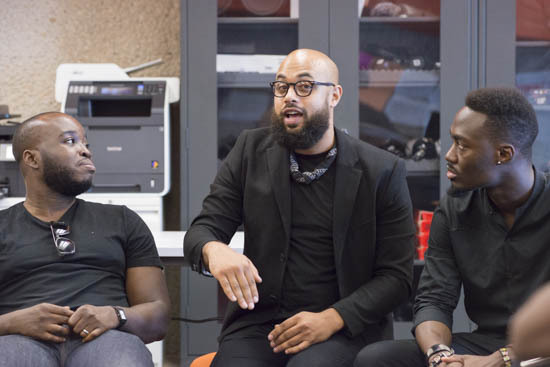 Theaster Gates’ associates, the Black Monks of Mississippi, speak before the students of the Hirshhorn Museum’s ArtLab. 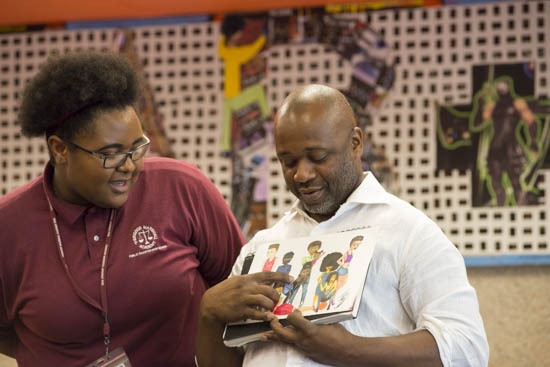 A student from Thurgood Marshall Academy in southeast Washington shows her artwork to artist Theaster Gates. The Anacostia Community Museum seeks to be a gathering place for important conversations pertaining to urban communities. We devise our public programming and community forums with this goal in mind. This Sunday, September 18, we were pleased to present the work of two local photographers, Becky Harlan and Gabriela Bulisova, both members of the 501C3 non-profit, Women Photojournalists of Washington. Harlan and Bulisova have both been working for many years on the projects they presented. 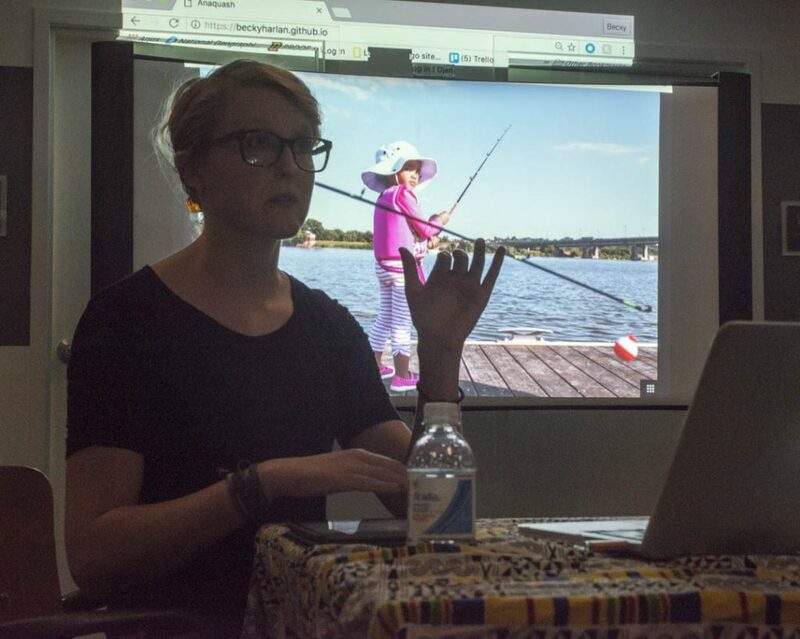 Women Photojournalist of Washington member Becky Harlan presents her work on the Anacostia River to a full house at the Anacostia Community Museum on Sunday September 18, 2016. 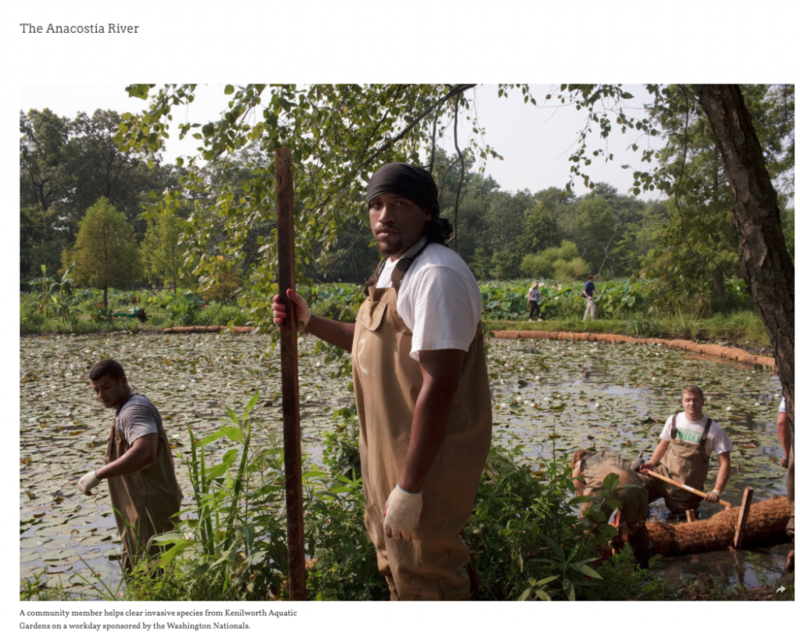 WPOW Member Becky Harlan shares work from her project on the Anacostia River. Photographer Becky Harlan’s work on the Anacostia River. Here a clean-up crew at Kennilworth Aquatic Gardens. Gabriela Bulisova’s work Inside Outside and Convictions examines the lives of returning citizens, the formerly incarcerated, and the families left behind. According to the International Center for Prison Studies, the United States has the largest percentage of incarcerated people in its population in the world. Bulisova spent time getting to know returning citizen groups and the families of the incarcerated, making still photographs and short movies to record their experiences. She shared with us several short films which are accessible below and by going to Bulisova’s website here. 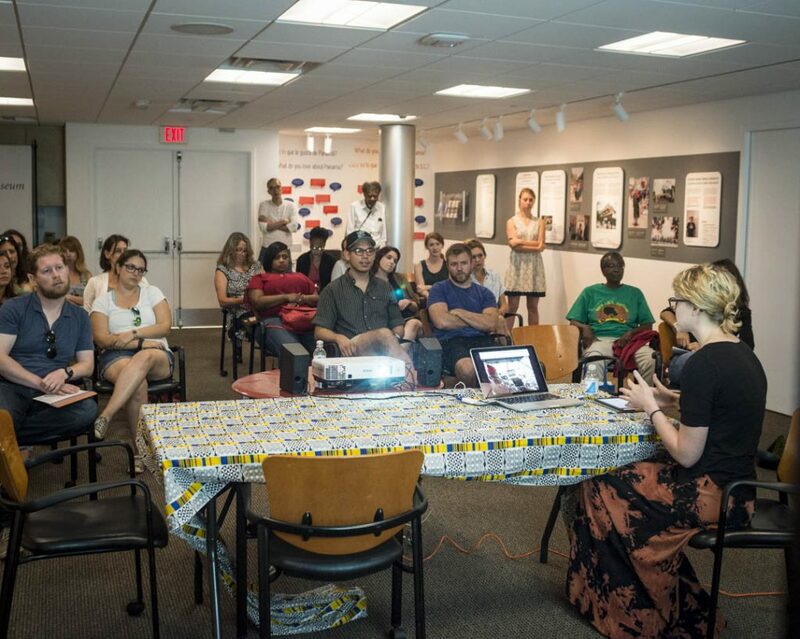 Photographer Gabriela Bulisova shares her work on returning citizens in Washington, DC at the Anacostia Community Museum Sunday September 18, 2016. The discussion following the presentations was informed by the presence of several of the returning citizens with whom Bulisova has worked on her projects. 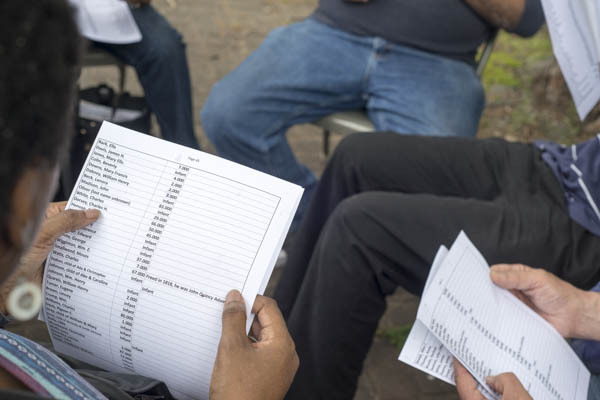 They spoke to the administrative limbo many incarcerated DC citizens find themselves in because they are beholden to the laws of the federal system, even as in many states, sentences for many crimes, especially non-violent ones are being commuted or cut short. Because DC is not a state, prisoners find themselves trapped in a federal purgatory where they are literally stateless citizens. 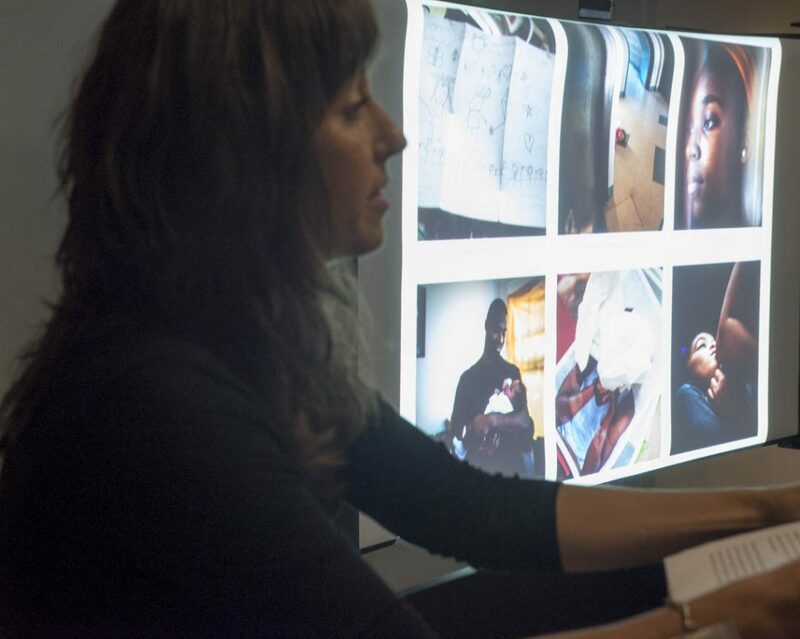 The opportunity to hear an artist discuss her work will always further your understanding of the project. We are pleased at the Anacostia Community Museum to bring these conversations to you and hope you will join us in adding your voice to our community. 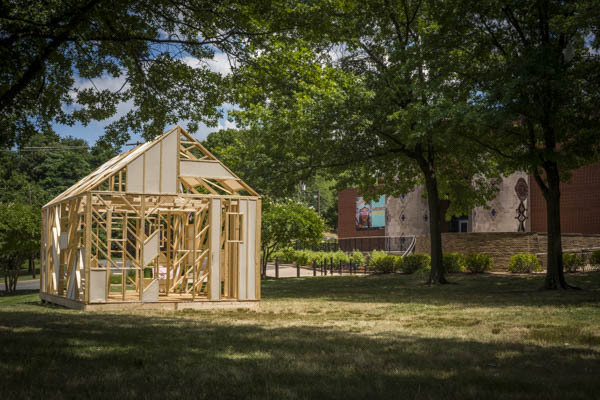 This summer from July 5- July 29, Anacostia Community Museum held a series of free arts-integrated half-day programs for seven to ten year old children in the community. 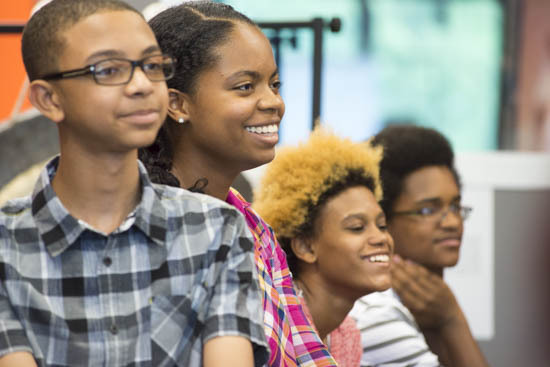 The students took part in daily yoga classes, science-based nature tours of the George Washington Carver Trail, art-making, swimming and field trips to the Smithsonian Folklife Festival and the Smithsonian Natural History Museum’s IMAX theatre. 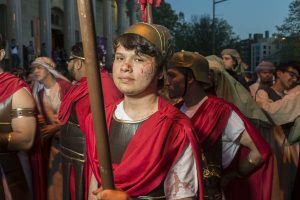 Summer Academy program ended for the season on July 29 with a series of poetic performances created by the students and special guests for their families and the community. Summer Academy students worked with educators Johari Griffith, Obika Griffith and Cheryl Rider to create a protest poem entitled Revolution inspired by the music of Beyoncé and fueled by the theme of protest featured in the exhibition the Twelve Years That Shook and Shaped Washington (1963-1975). The performance was choreographed by the Summer Academy’s artist-in-residence Erica Chamblee, actress, dancer and visual artist. After the performance in the museum, the program concluded on the park grounds of the museum with special guests, Dr. Ray Charles Lockamy, of the Cherokee Nation, and his horse Wind Walker provided to the program by ACM Security Chief Lt. Marvin Dorsey. Dr. Lockamy taught the children about caring for horses, the particular importance of getting a good education and staying in school for African Americans. Students even got a chance to ride Wind Walker and for many of them this was their first time riding a horse. DC Retro Jumpers ended the day with free 60s-style double-dutch lessons for all the children and their families. Parents were all pleased with the summer programs at the museum and replied the children really enjoyed the program. Thank You. A special thank you goes out to Sarah Turner for creating this video documentary of the Summer Academy Community Open House. As always there is free parking!